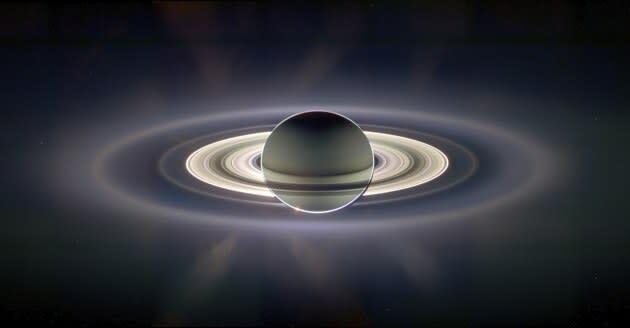 NASA's Cassini orbiter has already taken some stunning photos of Saturn and its moons, but the latest snapshot from the multi-billion-dollar mission might be its most impressive yet. 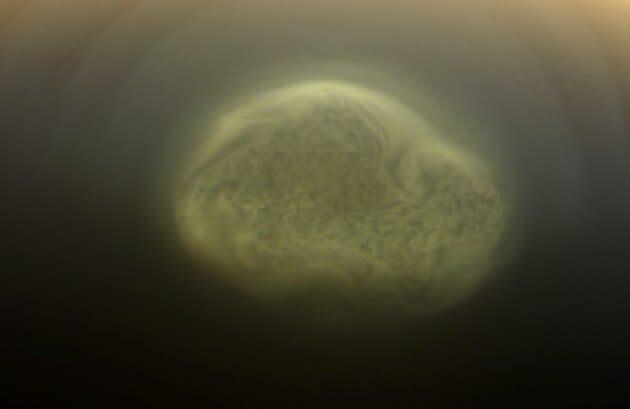 After swinging down to the southern hemisphere of Titan — Saturn's largest moon — the high-powered orbiter captured images of a massive vortex forming at its pole, and scientists can only guess as to why it's suddenly appeared. The massive collection of swirling gas has gathered at Titan's south pole, which measures approximately 3,200 miles across. The whirlwind has never before been spotted, and it remains unclear how long it has been forming. 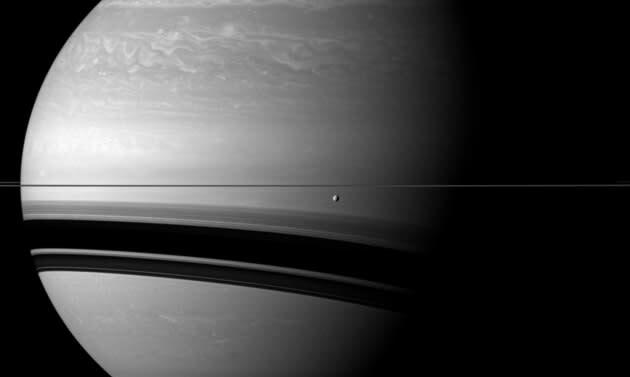 Cassini — which first arrived near Saturn in 2004 (and shot the stunning images below) — had been orbiting the moon too far north to have captured it, until now. Prior to this discovery, the probe spotted images of a large "hood" on Titan's north pole, which researchers believe is the result of cell convection — a process where dense air sinks towards the surface, pushing air at its edges upwards to create clouds. As Titan's seasons change, scientists believe that the same mechanism may be at work at the moon's southern pole, but they can't be sure. 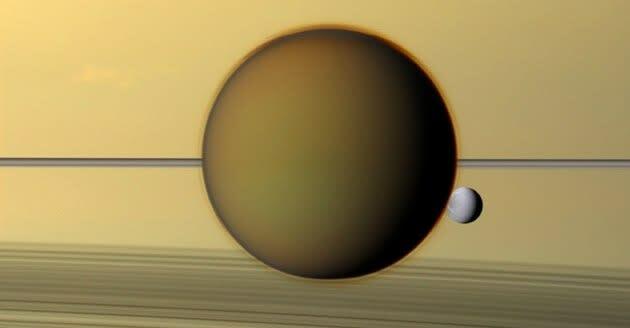 A single year on Titan lasts approximately 30 Earth years, making the study of each season a lengthy endeavor. The planet is composed of rock, water ice, and methane, making for some weather formations not typically seen here on Earth. The gigantic, swirling anomaly — which is spinning at four times the speed of the rest of the moon — appears to be yet another interesting characteristic of Saturn's most interesting satellite.